Although it has been a relatively mild winter for us, we are already hankering for spring and summer to come around again. Our garden is waiting to be tilled and the grill is ready for it’s cover to be lifted. WE are ready to start cooking outside again…the scent of burning coals and fresh herbs are tickling our noses. WE CAN’T WAIT FOR SUNSHINE! Something for breakfast will be posted this weekend for Lasang Pinoy 7. Lets get get cooking for breakfast! 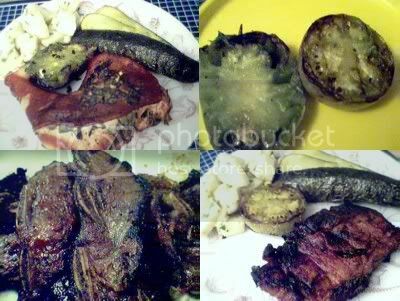 hello j mom, sarap ng grilled vegetable… Kumusta lang!! JMom…what are we gonna do!? more snow tomorrow for us. kids and i are going bonkers waiting for warmth and sunshine. there’s always always hope! check this site out, witty and some good recipes. So what are you making for LP Pinoy breakfast..I will post mine later on. Ingat!